It’s that time of year again! Black Friday and Cyber Monday are the biggest shopping days of the year. This is your chance to get huge discounts on blogging-related deals! I rounded up the best deals and discounts for online marketing, blogging, WordPress themes, opt-in forms and much more! There are tons of Black Friday deals and I selected the ones that will be most helpful to you in your online blogging business. Here’s a chance to get beautiful, professional WordPress themes at a deep discount! When: Tuesday November 21 to Tuesday November 28 at 8 PM Eastern. I love StudioPress themes and they have an incredible Black Friday Sale. This is amazing! Here’s the GREAT NEWS! This discount includes the Pro Plus All-Theme Pack, which gives you immediate and unlimited access to all current and future StudioPress themes. I own the Pro Plus and it was the best purchase ever! Get the StudioPress Black Friday deals. Just getting started with self-hosted WordPress or want to transfer your existing website? SiteGround has you covered, from high speed to excellent customer service and the latest technology. When: November 24 to 27. 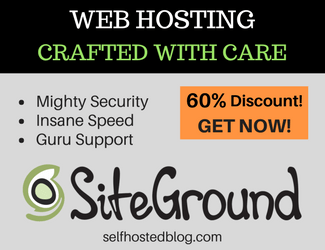 70% OFF Premium Quality Hosting from SiteGround! Plus, this super Black Friday comes with a free website migration if you are transferring. I personally use Siteground and highly recommend. Get the SiteGround Black Friday deal. Want to get more email subscribers? OptinMonster’s incredible opt-in forms are designed to improve converstions. When: November 20 to 30, 2017. Get an exclusive 25% off discount, available for new customers only. I use OptinMonster! I love the flexibility and features! Get the OptinMonster Black Friday deal. It is rare for ConvertKit to offer amazing deals and they are for Cyber Monday! I am a big advocate of ConvertKit – an email marketing service dedicated to helping creators earn a living through easy to use email automations and incredible customer service. Get 30 days for FREE! Don’t miss this opportunity to grow your online business. Get the ConvertKit Cyber Monday deal. Imagine if you could leverage Pinterest to increase your traffic, subscribers and income? Take advantage of this great deal for a step-by-step guide to using Pinterest strategically to grow your blog or business. When: Friday November 24 to Monday November 27. Get $137 off the price. Regular is $285 and you pay just $147. Get Pin to Profits Black Friday deal! Have you been looking for the best online course platform to sell your amazing courses? Look no further! Get 3 months of Thinkific’s Business Plan today for just $297 and get $1000+ in additional support, training, and software. This bonus package is usually worth $1,000+ but today you get it all FREE. Get the Thinkific Black Friday deal now. Here’s your chance to get beautifully styled images. 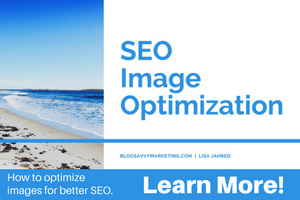 These stock images will definitely help elevate your image online and in social media. Plus, they have two different offers for Black Friday and Cyber Monday! Get 30% off membership with code STYLE30. Get either deal for Styled Stock Society here. If you’ve been wanting to create and sell your online courses OR create membership sites, you can with Invanto. From online courses, to membership sites, to reward programs, Invanto has all your bases covered so you can finally start reaping the rewards of your website! When: Friday Nov 24, one day only. They are offering a pretty amazing deal. $49 for lifetime access! Get the Invanto Black Friday deal. The Amazon 2017 Black Friday deals have already started! You can find the lowest prices and sales on electronics, toys, DVDs, and more. Check out the Amazon Deals now! Black Friday shopping is so much fun! Take advantage of this fabulous deals for bloggers and Internet marketers. Which deal is your favorite?